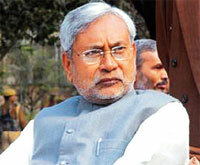 ON DECEMBER 10, Bihar became the first state to scrap local area development funds allotted to its 318 legislators. The decision, taken by Nitish Kumar’s NDA cabinet, aims to end rampant corruption in the state and is a part of the cabinet’s 22 resolutions passed to turn Bihar into a developed state. The legislators were annually allotted an amount of Rs 1 crore to undertake development work in their constituencies. The move, they think, has branded them all as corrupt. “Everyone has been affected because of a few legislators who failed to do any work,” said Bihar Legislative Council member Aslam Azad. He claims to have used 90 per cent of the funds allotted to him. The funds were essential as they helped legislators undertake small yet pressing projects in their constituency, he said. But Shaibal Gupta, economist and founder member-secretary of Asian Development Research Institute, Patna, thinks the funds were mostly used as personal income. “The move is part of the chief minister’s focused attempt to rid the state of corruption,” he said. George Mathews, director of the Institute of Social Sciences in Delhi, said the funds were misappropriated and used more as a bribe by the party in power to build support base. “It is a big victory for people like us who have always opposed them,” he added. The government has now made a proposal so that money could be channellised through the state’s planning and development department. To root out vested interests and keep corruption at bay, the ministers will get charge of districts other than their own constituencies, said Afzal Amanullah, Principal Secretary, State Cabinet and Coordination Department. Also, each of the 38 districts will have an implementation committee to monitor utilisation of funds. Periodic meetings with the Home Secretary, departmental principal secretaries and Director General of Police will be organised, detailed report of which will be submitted to the chief minister.